Jekyll and Hyde is an interesting addition to Empire Damansara. It’s a great feasting spot that gives off a trendy vibe. Jekyll & Hyde is well known for their signature porky dishes with rich array of choices. 2 slices of streaky bacon, 2 pieces of spicy Russian Kolbasas, sauté Shrooms, Grrilled Tomato, Baked Beans, Sous Vide Poached Eggs served with two toasted Sourdough Rye Slices and Truffled Butter. Smoked salmon, rocket and Sous Vide Poached Egg On Toast with classic Hollandaise. Half Slab of Hickory BBQ Ribs. Mix Platter of our scrumptious Arancini, Pork Ribs Croquette, Murderin’ Sliders and Premium Pork Sausages. 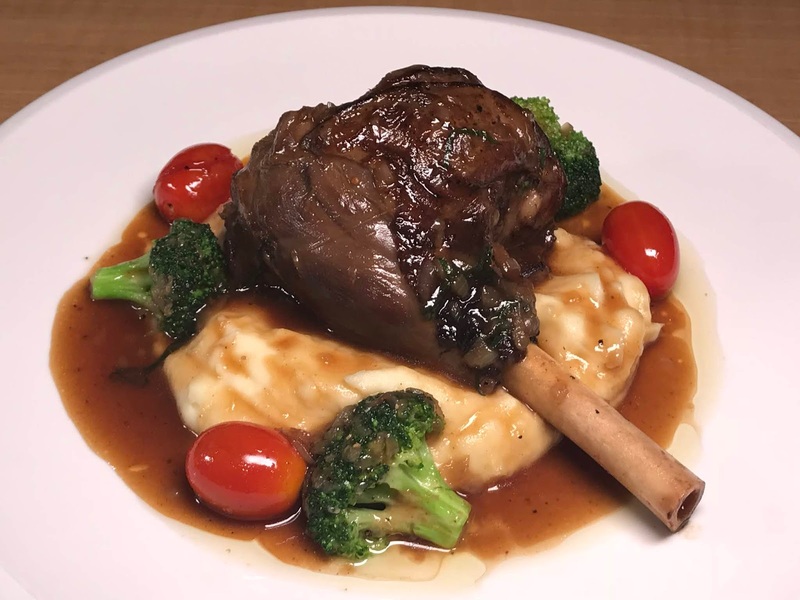 Roasted lamb shank wrapped with peck, caramelised onion and mustard apple, mashed potatoes in Thyme Jus. Serving pasta from a giant cheese wheel. A wheel of Grana Padano cheese carved in the Center then filled with freshly cooked pasta and tossed to incorporate the mouth-watering, creamy cheese sauce into every strand of pasta. With spicy prawn oil and basil.